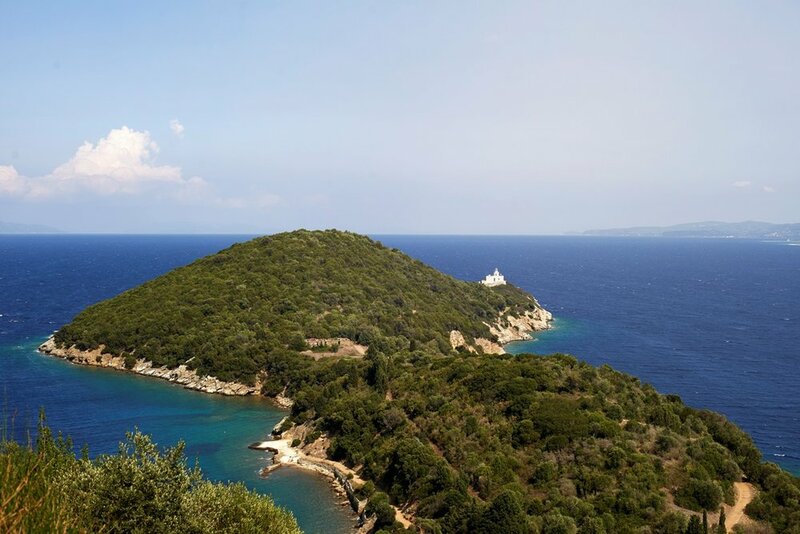 What would you say if I told you that there is a yoga retreat in Greece, found on a privately-owned 60-acre island that you can enjoy all on your own? When it comes to the best yoga retreats around the world, there are several destinations that come to mind. Bali, India and other places in Asia are usually among people’s first choices when they want to spend some time in order to relax and meditate. So, what would you say that instead of seeking for the perfect retreat spot somewhere on the globe, you could just have your own island for some days? Well, that can actually happen! 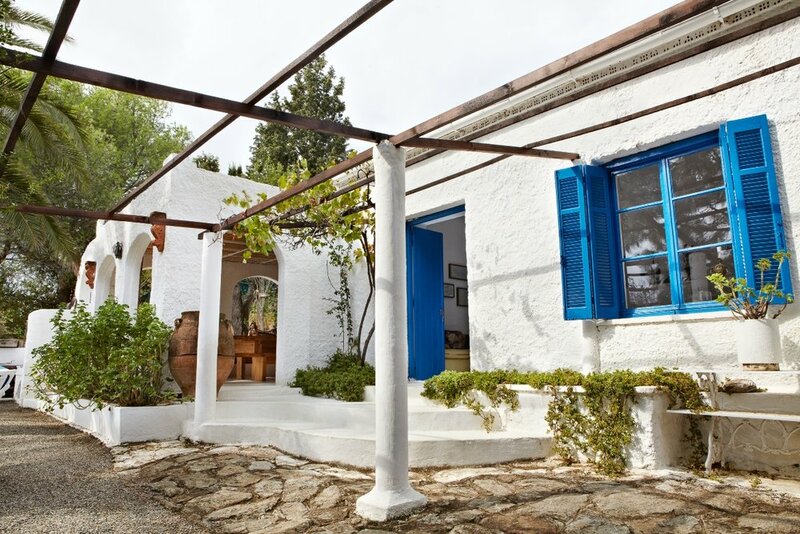 We have recently discovered online the perfect fit for all yoga lovers, located in Greece! 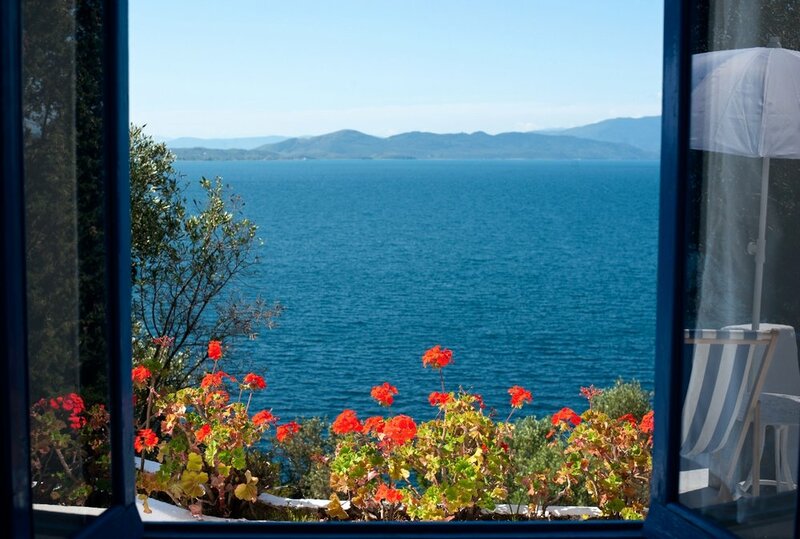 Silver Island Yoga is a yoga retreat island in Greece and the place to be if you are searching for your inner peace. Located just 3-4 hours drive away from Athens, Silver Island can be the rejuvenating start or the relaxing end of your summer adventure in Greece. 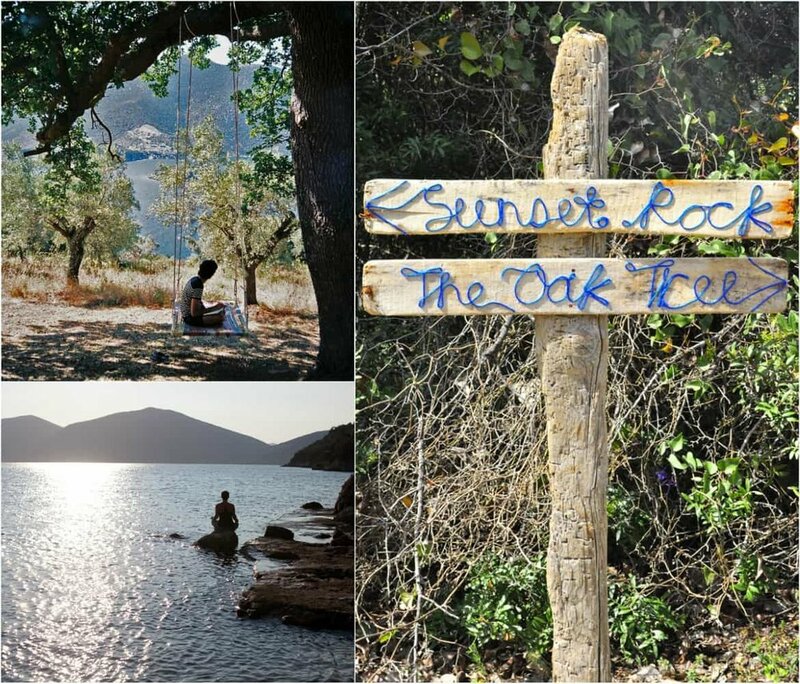 Lisa and Claire, two sisters from Greek/South-African parents have transformed the island into a private yoga retreat with an ecological character, since only solar energy is used for power. Moreover, the water used daily is being gathered from winter’s waterfall and everything in the retreat is, of course, recyclable. There is total absence of Wi-Fi in the island, forming a good reason to think about a proper digital detox! 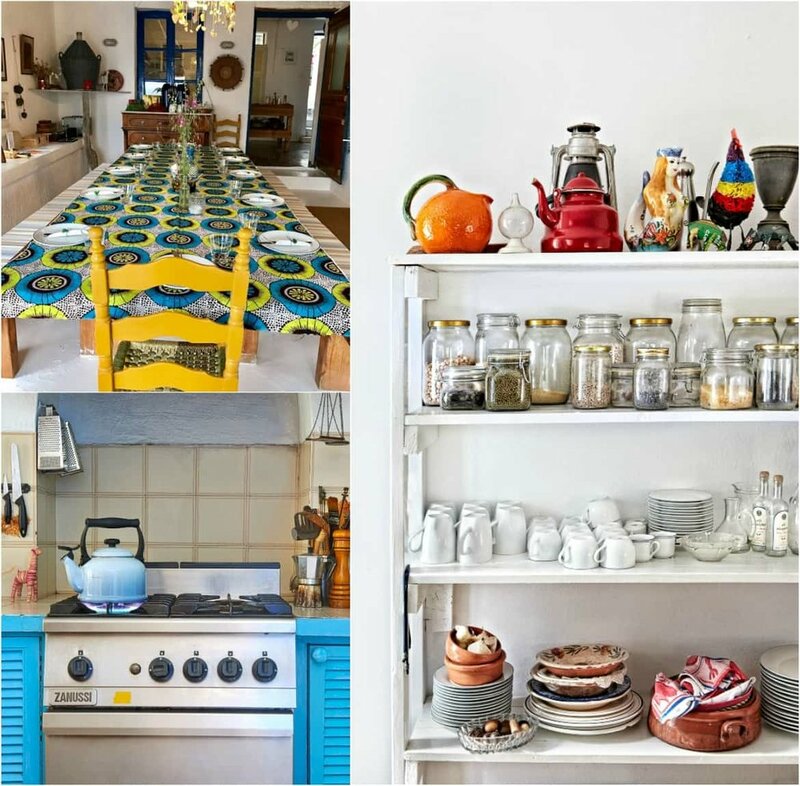 Silver Island Yoga can host up to 10 guests per week in two beautiful white-washed houses with blue details. Five twin rooms are available for your stay, all individual in shape, size and style. They are tastefully furnished throughout and equipped with 100% cotton sheets, towels, beach wraps, hypoallergenic pillows and mosquito netting. 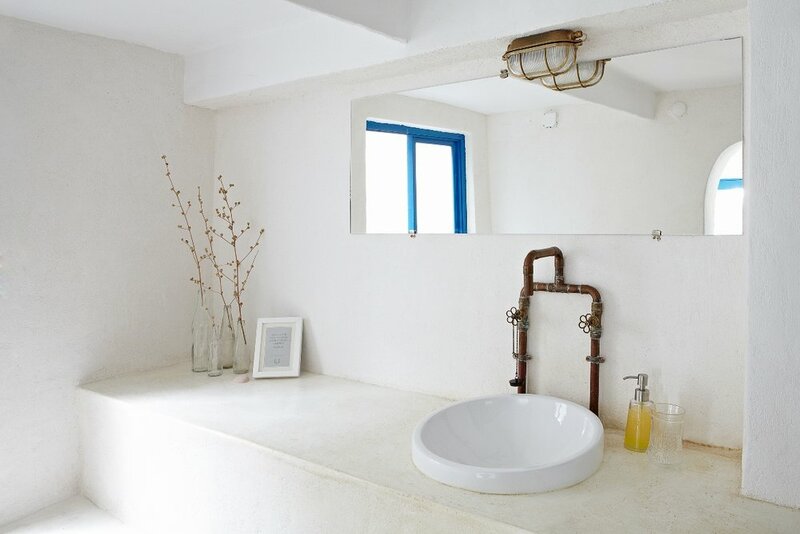 The toiletries that you will find in the bathroom are natural and biodegradable. When it comes to food, three vegetarian dishes are being served daily with organic and local-grown ingredients. 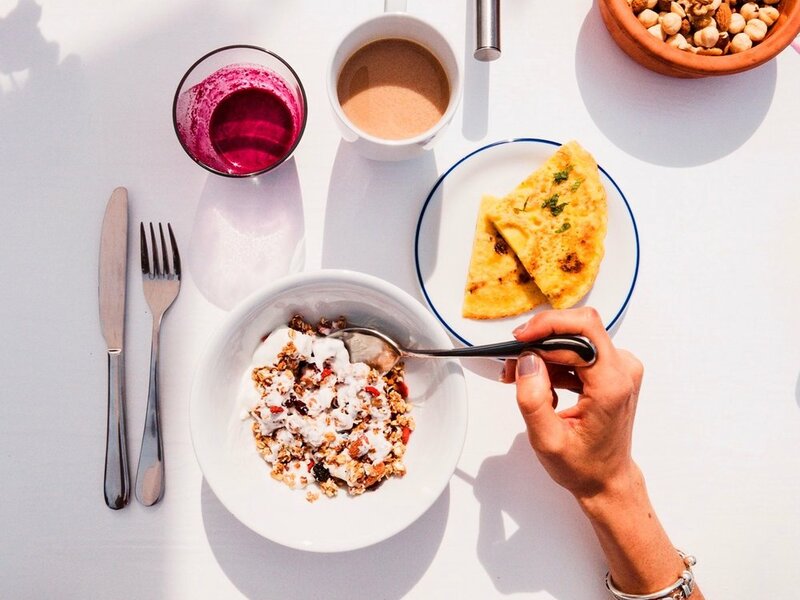 Who wouldn’t like to start their day with some Greek yogurt, a home-made granola and some delicious banana pancakes? The food concept is organic, healthy and detoxifying that perfectly matches the yogic lifestyle. 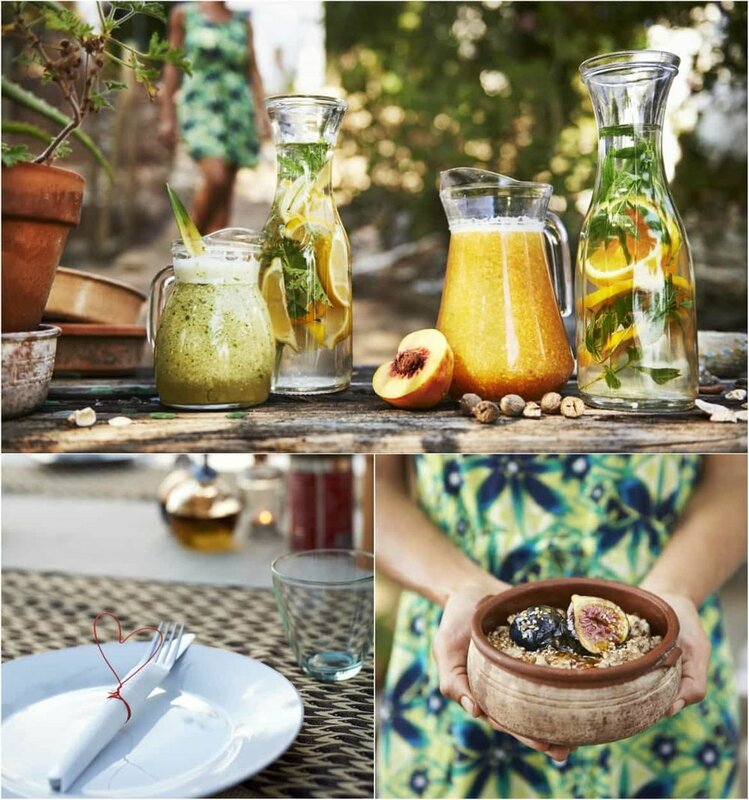 Before enjoying all this mouth-watering dishes, you will have a one-hour yoga class at dawn and one during sunset. Between meals and classes, you can have walks around the island, discover its olive groves or relax under a cypress tree. If you are into sports, you can try kayaking or snorkeling. Then, if you love art or literature, you can read a book borrowed from the library or draw using tools from an art cupboard. The yoga retreat offers you the time to restore, heal and de-stress. Each week a different trainer visits the island and invites you to benefit from the physical, mental and spiritual advantages of yoga. From the moment you step foot on this beautiful island, you will have the opportunity to relax and practice different styles of yoga; from Hatha and Kundalini to Quantum and Vinyasa Yoga, there is definitely a method that will match your preferences! And if all this workout isn’t just enough, you can enjoy some Shiatsu therapy sessions in order to relieve tension and pain. Check the calendar to see the availability for the current year in Silver Island Yoga here. Have you ever considered a yoga retreat as a potential holiday destination? Share your experience with us! 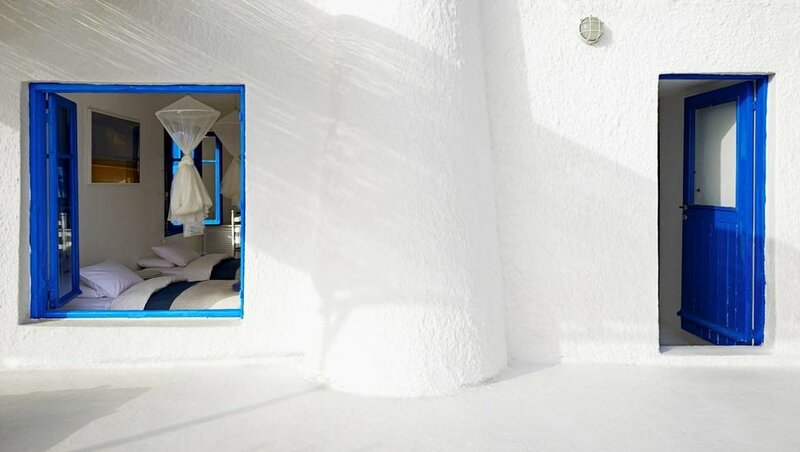 Blue and white equals Greek summer! Did you like our post? Pin it! We would like to thank Claire for providing us with these wonderful pictures of the retreat. *This is not a promotional post. We always express our own point of view based on our findings/visit.